As usual Neptune Beach will provide both Local and Travel Ball Options during Fall Ball in 2019. Practice begins after school starts in late August and the season runs until Day Light Savings in November. Fall Ball features weekly weekday On-Field Practice and Indoor Batting Practice at the Neptune Beach Pearl Batting Cage Facility located in the heart of Alameda's South Shore Center. 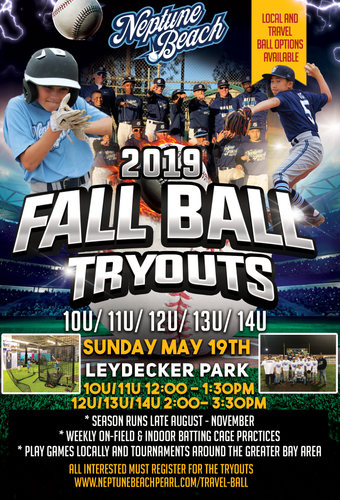 Tryouts on Sunday May 19th 2019 for 10 & 11 years olds will take place from 12:00-1:30pm. Tryouts for 12, 13 & 14 year olds will take place from 2:00-3:30pm. Registration is now open and you can enroll for the tryout below. The Neptune Beach Baseball program success on the field speaks for itself. Those who have been apart of the program will tell you it is so much bigger then baseball. It is about being a part of a family. We take pride instilling life lessons and values in players. 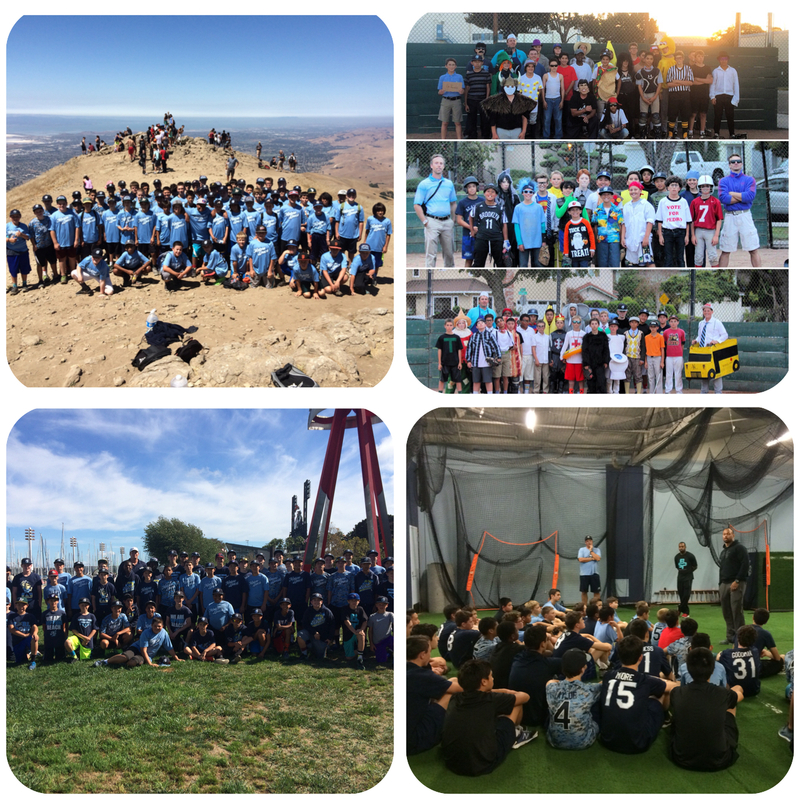 Annual team bonding and off-field events take place throughout the course of the year providing a sense of pride, community & accountability.